"Fortune Teller," is a painting with oil and collage elements on canvas, 30"x40." 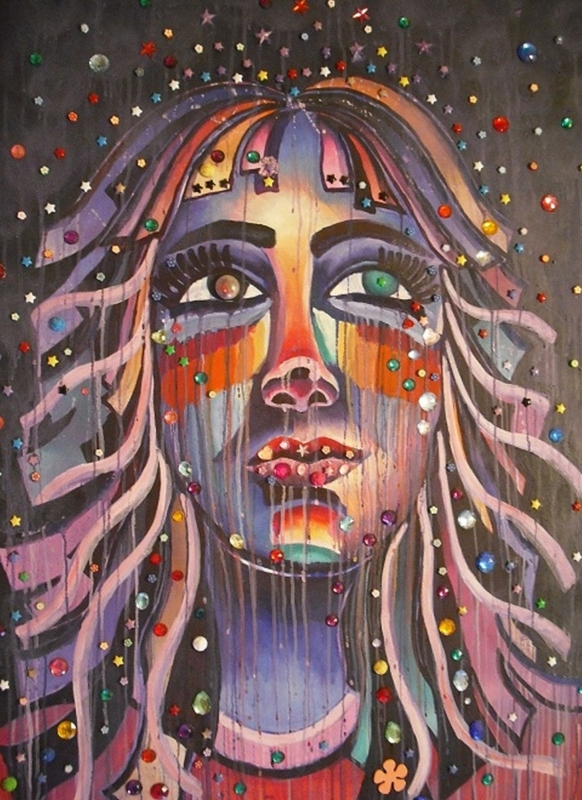 The painting is a portrait with dripping and collage elements. It is portrait of a fortune teller or psychic. The painting has dripping all over it to imitate tears or rain. The face is done in coll and warm colors. The warm colors are meant to represent heat emanating from the face. There are different beads in the eyes to portray the different things that she sees. The collage elements are supposed to represent the stars and they are creeping into her hair and face to represent the cosmos within her.